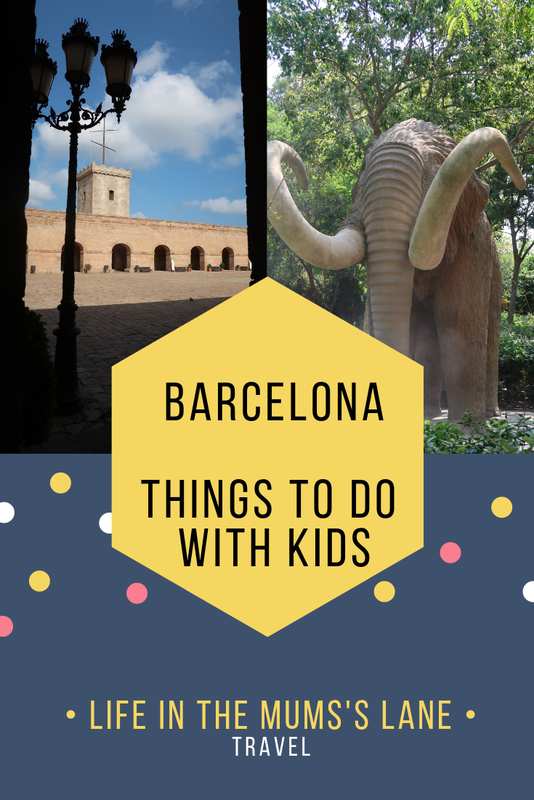 Barcelona is a fab city break with kids. 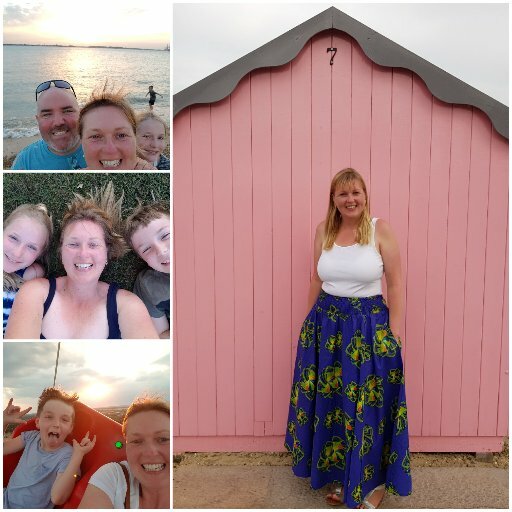 A short flight, easy transfers from the airport and lots to do. 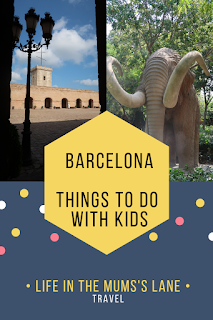 Here is a list of my top things to do with kids in Barcelona. The city is flanked by 2 mountains. Montjuic takes you to the castle and the other overlooks the sea. Approximately 10 minute journey per cable ride. 16.5 Euro for round trip. Children under 6 travel for free. My kids loved this unusual transport method and if time allowed we would have experienced the other one too. 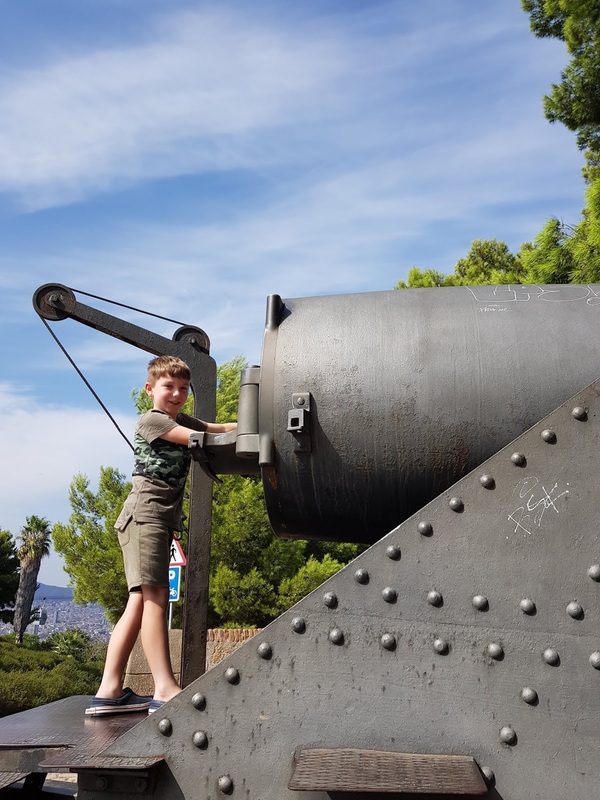 This is an old military fortress and offers amazing views over the city and when we visited a cooling breeze and the space was a welcome respite for the kids. Open 10am to 6pm. Standard admission 5 euro's. 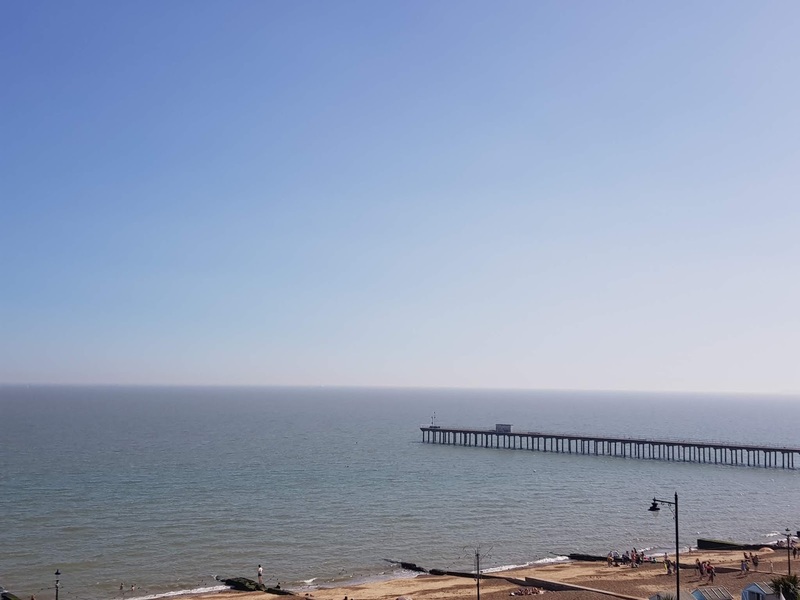 Free sundays after 3pm and 1st Sunday of each month. After visiting the castle we walked past this impressive stadium and wandered in as it's free entry. The Olympics were in Barcelona the summer of 1992 and was nice to read a little of the history. 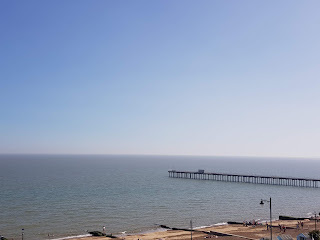 Worth a visit if in the area. Escape the hustle and bustle and visit the park. City zoo, row boats, fountains, plaza, play areas and life size mammoth to entertain the kids. The play equipment was on the small side perfect for toddlers/young children but not so great for my 8 and 11 year old. Located at the base of Montjuic during the summer the show is nightly Wednesday to Sunday 9.30 to 10.30 each show lasts 15 minutes and is amazing! It gets very very busy! You can see from most places but if you want a prime spot arrive early. 37 stops available and 2 hour approx. route. 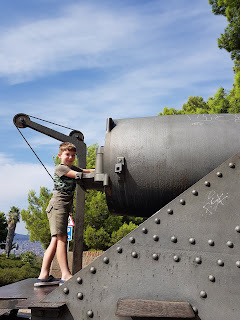 A great way to see the city with kids as saves tired legs and was perfect for my son. We didn't have time to fit in Nou Camp but he was thrilled just seeing it from the bus. Day ticket 30 euro adult and 16 euro child under 4's free. Prices do vary and sometimes offers. Designed by Gaudi this park is full of enchanted paths, mushroom houses, mosaic arches and structures. Lovely view over the city. We personally found this a lot smaller than we expected and not really worth the time/journey. If you love architecture it would be a must but a pass for us. Stroll along and look at the stalls, street artists, musicans and mime artists. Olympic village more family friendly. Barcelonetta is the old fishermans quarter. and enjoy the best views of Barcelona in the Sky Walk. 28.50 euro per adult 10.30 euro per child located Tibidabo Square, 3-4 08035 Barcelona. Opening times vary depending on season 10am to 9pm (latest) 20 euro per adult, 15 euro child 3 & 4 year olds 7 euro. Located in Port Vell this Aquarium is one of the largest in Europe. Visitors usually spend 2 to 3 hours here and a good way to get young children out of the heat. Swimming! My kids loved our hotel with it's rooftop pool. After spending the day sight seeing they LOVED jumping in the pool to cool off and relax and we could enjoy a drink and the rooftop view. To see more of Barcelona and what we got up to watch this video. Our top 3 were the Magic Fountains Montjuic, Cable car and Montjuic Castle.